Are your programs and projects optimized, automated; with the status easily view-able in real-time, and fully aligned with your business initiatives? Strategic Business Initiatives require alignment down through programs, projects, and resources. In most organizations, this alignment is accomplished manually with tremendous inefficiencies and delays. Allows top down end-to-end visibility across all business initiatives. Enforces transparency at all levels. Provides virtual feedback loop across business initiatives. Aligns projects with programs with business initiatives/objectives. Allows data modeling & predictive analytics capability, to provide continuous optimization of budget, resources & time. Further, this automation allows for an improvement of data quality, permitting effective data modeling and predictive analytics. RoundWorld Solutions’ Big Data 360° tool allows for automation and transparent feedback from the top-down and from the bottom-up. This allows appropriate visibility and metrics for each level of stakeholder – and ultimately saves time and money. In most organizations, the end-to-end process of drilling down into business initiatives is highly manual, static, and not continually optimized and aligned in real-time. Our RWS 360 tool automates the visibility in real time. Most CXO’s don’t have a complete 360* view into resource allocation. The RWS 360 tool allows visibility into all project statuses, and how all resources are aligned in real time. Many organizations deploy several different tools that don’t communicate with one another. The RWS 360 tool provides a unified view of the underlying Programs, Projects, and Resources. Static reports are out-of-date the moment you get them. The RWS 360 tool is dynamic, and in real time. It also shows historical data and allows for predictive modeling. This provides a full picture, rather than a single snapshot of time. The RWS 360 tool ensures a smooth unified view from the top to the bottom – and back again. Would any of the following be helpful to you and your organization? Unless Programs, Projects, and Resources are aligned within an organization, you will be unable to optimize your business intelligence, and it will be very difficult to have visibility as to how things are really going. 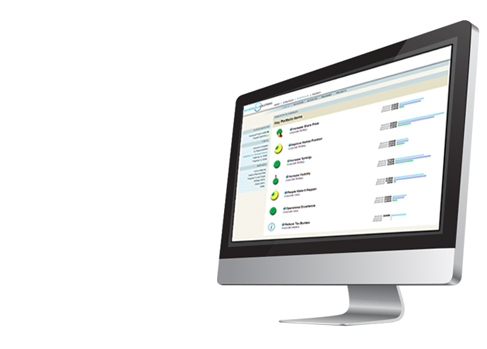 The RWS 360 tool allows real-time exploration, optimized to the level of the inquiring stakeholder. The RWS 360 tool allows companies to accurately predict and analyze staffing needs. The unified view tells you exactly where there is a lack of transparency or automation in the organization. The ability to view heat maps to quickly see areas needing focus – with the ability to drive down to the resource level. The RWS 360 tool a high-level real-time ability to see if things are out of alignment without needing to dig into the data. The RWS 360 tool analyzes in real-time, providing correct analysis of the alignment of the projects and programs to the business initiatives. The RWS 360 tool provides the value of accurate visibility into where things stand is critical to optimize success! Predictability at each level – allows for high quality data and predictability. Allows instant vision into dependencies. The RWS 360 tool uses template-driven wizards to allow ease-of-use for any employee – it requires zero technical knowledge/capability to take advantage of all of the tool’s functionality. Quickly and easily customized to your business and needs. Template driven approach.